Work-related problems are, unfortunately, a part of many jobs. If you are an employee or employer, you are likely to find yourself one day in a dispute. These disagreements can take on many different forms among co-workers, supervisors and subordinates; and outside sources, such as customers, vendors, and regulatory agencies. Maybe you have been treated unfairly, discriminated against, failed to receive wages for work performed, improperly calculated overtime, and tipped wage credits; or even fired without knowing why. Maybe you have been held responsible for a job-site injury or unknowingly hired an employee with a criminal past who causes harm outside the scope of employment. You might be either an employer or employee whose contract has been breached and must be resolved through arbitration or mediation. Employment law, both at the local, state, and federal levels, has been established to protect both employers and employees. These employee and employer rights are aimed at ensuring that daily workplace operations – including pay, hiring and dismissal processes – are fair for all. Everyone wants a positive work environment. Far too often, though, information on how to deal with employment-related issues is challenging and complex and only sound and trusted advice from an outside professional can keep a misunderstanding from getting out of hand. Christopher Leifer combines the acumen to recognize potential problems in the workplace and the maturity to advise whether you are in compliance, so that you can satisfy confrontations and avoid work-related strife in the future. Mr. Leifer is the consummate conflict manager. Prior to beginning his career as an attorney, he fought valiantly to settle conflicts in the Middle East; first in Operation Desert Shield and ultimately in Operation Desert Storm. A veteran of the U.S. Navy, Mr. Leifer received the Combat Action Ribbon, Kuwait Liberation Medal, Southwest Asia Service Medal, Armed Forces Expeditionary Medal, and National Service Medal. Ardently ambitious and adept at taking calculated risks, Mr. Leifer left a steady role in the military to pursue a career in law and satisfy his yearning to protect others. While earning his law degree at Tulane University School of Law, Mr. Leifer worked in sports management law, where he worked on a lease extension for the New Orleans Saints that would keep the NFL team playing home games in an improved Superdome for decades. Self-assured and determined to be his own boss, Mr. Leifer was one of the founding shareholders of FL Legal Group, where he presently directs the firm’s business operations. His managerial experience has forged an understanding of the fine line between employer and employee relationships that is reflected in the realistic expectations he presents to his clients in jury trials, arbitrations and mediations. Mr. Leifer earned a B.A. in Behavioral Science and Law from the University of Wisconsin ­at Madison, along with a minor in Business. 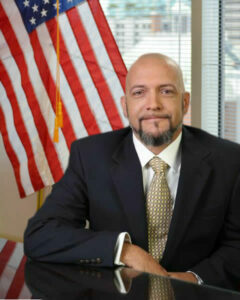 He is a member of the Florida Bar Association and licensed to practice in all state courts as well as the U.S. District Courts for the Northern, Middle and Southern Districts of Florida. 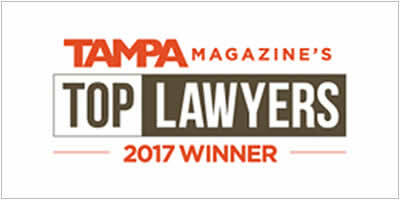 Mr. Leifer was named as “#1 Employment Law Attorney” by his peers in the Tampa Magazine’s 2017 Tampa Top Lawyers. As the Director of Operations, a colleague and legal advisor on contractual issues and employment disputes, Mr. Leifer is comfortable in many roles. Trustworthy and honest, he goes above and beyond what is expected of him. He is the type of person you want in any position. Make him your attorney. Call 1-800-984-9951 now and set up your Free Consultation to send a message.